Hello sweet dolls! The week is almost over, feels like it's going fast for me. The weather has been a bit up and down, one minute sunny, the next rain...I slid on the pavement the other day like it was a slip and slide or I was playing baseball, not as fun though. But, I laughed it through :) These are some photos from some weeks ago when it was my birthday. I at the last minute decided to go to the National Gallery in Edinburgh to see the 'Van Gogh to Kadinsky Symbolist Landscape in Europe 188-1910' exhibition, which I loved. But, I always love going to art galleries, so I would say that ;) hehe. At the bottom is one of my favourites that I seen, just because of the blue colour, but there were so many that I enjoyed. I also went to the other art museum next to it as well. I jotted down a mass of favourites that I'll share with you in other posts :) Edinburgh is one of my favourite places in Scotland. The sun was shining compared to the rain I left on my side of Scotland. I always love strolling up the hills to the older parts of the city right down to the newer spots. It's filled to the brim with rich history and culture. You can hear the bagpipes playing as soon as you get into the city. Walking along the cobblestones here and there is wonderful. I never tire of visiting. I'll go back sometime & do a proper tour for you, this is just my walk to the gallery :) Wish you all a wonderful day & weekend to come!! All others taken by me. I think I get to post the first comment!! :)) Yay!! And I really do love that vintage dress. It suits you fine! Lovely dress, the print astonished me and you are beautiful in it! This week seems to be unlucky as I fell from the stairs too, but everything is fine and I'm happy that nothing has happened to you too! Your outfit is just great doll, it looks so sophisticated and classy, I really do have to love it, thanks for sharing these awesome photos too, it seems like a really good birthday week day out! Lovely dress! These photos really capture the museum. Beautiful! What a lovely day out, I adore museums, can't wait for our London trip and Tate Modern - even the building leaves me breathless. OMG Kizzy waht a gorgeous pictures! I've neever been to Scotland but Edimburgh is wihtout any doubt one of the cities I want to visit at least once in my life!! I love Edinburgh and you look absolutely fabulous in that dress! Nice photos again, makes me feel like I want jump in them, they are dreamy and classy too. your dress is so pretty! That dress looks so great on you. Love the length and the colours. Now I am realising we didn't do half of the sights when we used to go to the Edinburgh festivals! Must go back. Would love to visit there too - grab pictures Kizy, an lovely dress! Have agorgeous weekend! The print is truly lovely! I would love LOVE to go to Edinburgh some day and am gutted we didn't get to visit when we were still in London! Alas another time then and maybe I can even see you there! I love your amazing dress!! I have never been to edimburgh!! You always look so lovely and you always leave me envious of all your great vintage finds. That dress is beautiful. love the print of your dress ... perfect for fall. Such a beautiful look! You look so pretty! Love the castle on the hill! Such a beautiful gallery and your dress is so pretty. The colors and style are perfect as we transition in to fall. Enjoy your weekend ahead! This week has flown by! 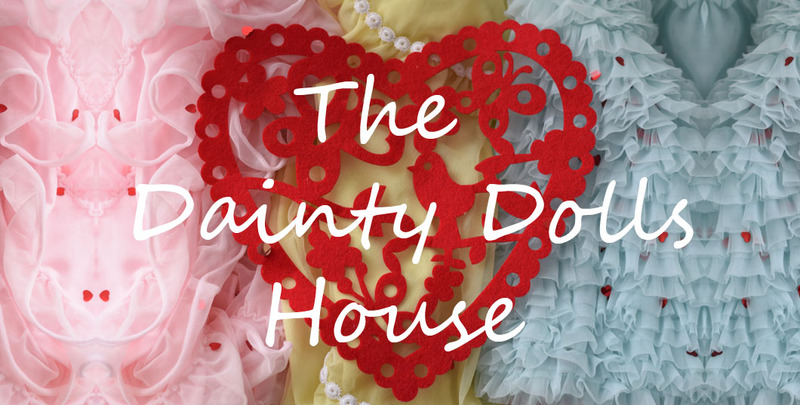 You look sassy and sweet in one dress! What a beautiful museum, and the architecture is just gorgeous. I love the dress Kizzie, the pattern is beautiful and the obi belt is a great addition. Gorgeous photos! Love the camera u are using! Lovely you in lovely dress! Edinburgh is gorgeous! No wonder it's one of your favorite places in Scotland. You look pretty as a picture in that dress. The print is fabulous! you look awesome and I love the obi belt! the castle looks so beautiful, it's been too long since I've been to a place like that! I've been to parts of Europe, but not to Scotland. I would love to go there and check out some of the sites and museums. Adorable prints are on your dress! I love! I just posted my review of Lancôme's 2012 Fall Collection on my blog. If you have a minute, I would love to hear your comment about it. Thanks! I love the photos of the Art Museum and glad you were able to go to the exhibit. 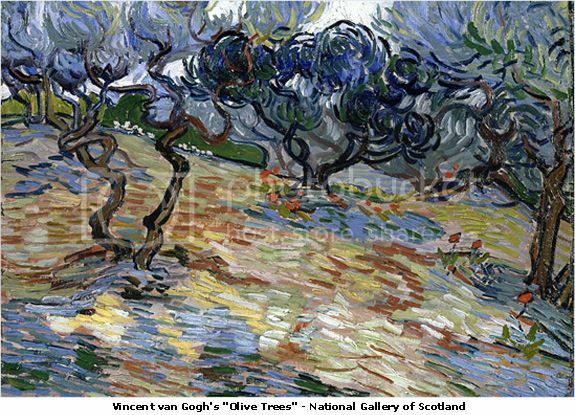 I love the van Gogh's Olive Trees painting and like you, a lover of the color blue too! elegant place, you're like a queen there! How wonderful that you get to spend time in this magical place Kizzy. I can't tell you how often I mentally note that I must visit when I read your posts. Perhaps this Christmas, I'm slowly putting together a winter Europe holiday. Where do you suggest visiting in Scotland? Also, love your dress--you're right it is SO William Morris and looks fabulous on you. Hope you have a magical weekend! i am in love with that belt! Love this post!!! You look gorgeous and the pics are amazing!! Love!! This is a beautiful dress ! I love the print and colors ! Very sweet foe autumn ! Gorgeous photography & I love your dress! You look so ladylike and beautiful. I hope you're enjoying your weekend! What a stunning dress on you?! I've never been to Edinburgh and would so love to go one day. anyhow, I love the photos and the lighting. I hope you have a wonderful new week Kizzy! Wow, I just found your blog and I am in love. WOW! fantastic pics! love the dress! That dress is gorgeous. It does look like a William Morris print. I adore anything William Morris.